Social media has become a new standard for communication and connectivity with your friends and family. WhatsApp can be ranked very high among the list, It can run on almost every smartphone and allows you to exchange words instantly. You can make calls, text, send pictures, videos and other files too. You can also create groups and stay connected with your friends and family. Good thing about WhatsApp is that it creates backup of every conversation on local storage and cloud storage. You can use this backup file to restore your conversations. In this guide we will tell you methods to access WhatsApp backup on cloud and local space. Before you dive into restoring the backup, you must know how to enable it in the first place, there are two kinds of backups used inn WhatsApp. First one is local backup and other one is Google Drive backup. This is how you make backup on both. Step 1: Open WhatsApp and tap three dot icon on top right. Step 2: Now go into "Settings>Chats>Chat backup". Step 3: Tap green "Backup" button. Step 3: Tap "Back up to Google Drive" and select backup frequency anything except never. Step 4: Select a Google account, you want to use for backup. If you don't have one tap on "Add Account" and enter your credentials. Now you know how to create backup on WhatsApp, so lets dive into how to access WhatsApp backup for both of the methods. Step 1: Download File Manager App from Playstore. Step 2: Now navigate to this path "sdcard/WhatsApp/Databases", in case you are not using SD card then it will be "internal storage" or "main storage" instead of "sdcard". Step 3: Rename the backup file you wish to restore from msgstore-YYYY-MM-DD.1.db.crypt12 to msgstore.db.crypt12. Step 4: Now uninstall WhatsApp and install it back again. Step 5: Tap "Restore" when prompted and it will restore the backup. Step 1: Make sure Google Account used for backing up is added and logged in your smartphone. Step 2: Uninstall WhatsApp app and then install it back again. Step 3: Open installed WhatsApp app and verify your number. Step 4: After verification, you will be prompted to restore message and media from Google Drive, simply tap "Restore". Step 5: Once restoration process is complete tap next, it will display all of your chats. We have covered solution to question, "Where is my WhatsApp backup" and also covered methods to access them. If you are looking for a tool which can backup your iOS WhatsApp conversation on computer easily then we recommend you to use our personal favorite product Tenorshare iCareFone. It is multi featured awesome iOS tool which you can use for keeping your iPhone healthy. 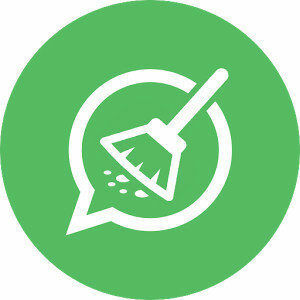 We have covered how to backup WhatsApp conversations on your local storage and cloud storage using Google Drive and we have also mentioned some method on how you can access these backups and restore them. In the end we have also discussed a tool which can be used take care of iOS problems and also to backup WhatsApp chat on your PC.